Unick ONE. Software connecting entrepreneurs with accountants. For 25 years we have been helping firms to be successful in business. The older brothers of Unick ONE are used by 13702 customers in Slovakia and 13 194 customers in Czech republic. We are Asseco Solutions, the largest Slovak and Czech producer of accounting systems. We know that business can be difficult and that you need a constant overview of how much you need to pay. For example for VAT, how much you owe suppliers and how much they owe you. 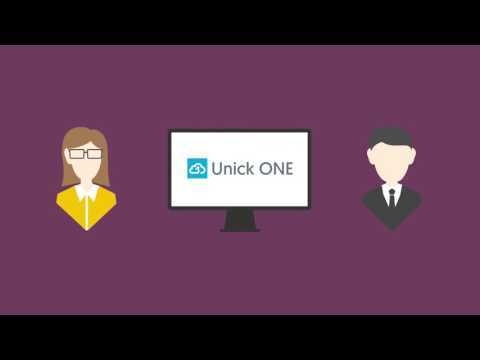 Unick ONE has been created for you, so that you have everything in one place. We know that accounting can be hard work. Gathering invoices, booking them and also worrying about data disappearing. In Unick ONE you will always have all the documents together and under control. Your data will be saved safely with us. You just need to trust us – like till now. With us it is easy, intuitive and safe. Everything you do during the trial period with Unick ONE remains saved and yours. You will always have access to your data, even if you decide not to use the service.